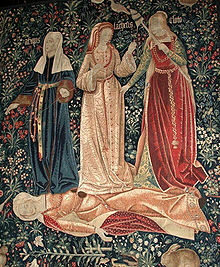 1 Name: the three fates--Moirai. 3 symbol is silk thread, Lachesis is make silk thread,Clotho is force and measurement of the silk thread,Atropos is to destroy the silk thread. Three of them share one eye, ear, etc., or sharing all the senses.